In today's digital age, it is more important than ever to have the support of parents in helping children to use technology wisely, safely, and responsibly. We commend you for dedicating your time to improving the safety of your children. 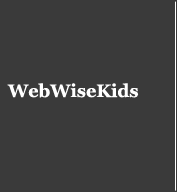 Since November of 2010, Web Wise Kids and the Orange County Department of Education have been working in partnership to increase middle school student and parent awareness of cyber safety issues. Because of valuable funding from a federal grant, you have the opportunity to use Web Wise Kid’s nationally recognized parent education program at no cost to you. This program is called Wired With Wisdom. The program is available in two versions: English and Spanish. Each version has short, entertaining components that take only about 20 minutes to complete; each component will give you a valuable overview on a hot technology topic such as cyber safety, identity theft, online bullying, and more. We want to THANK YOU for your time and your personal commitment to helping kids become their own first line of defense. To use Wired With Wisdom, click the green link above. Enter the code given to you by your child's school. Input your home address for verification purposes; this information will not be saved or collected. After registration, a link to the program will be immediately emailed to you. The program is free and your personal information will remain confidential.